As populations, life expectancy, and health care need grow, countries all over the world are grappling to match the need for trained medical professionals – mainly physicians and nurses. Health care has become one of India's largest sectors – both in terms of revenue and employment. India is leading the globe with regard to medical tourism. Today, the health-care organizations need to deliver care in a new quality-focused, value-based, consumer-centric environment. Health-care workers comprise doctors, nurses, and support staff such as laboratory technicians. Workforce in the health-care industry is growing very rapidly. Growth also comes with its set of challenges such as recruitment, retention, training attrition, and governance. This has put the focus on the human resource-related aspects of the health-care workers. Attrition is among the top concerns. This article focuses on the attrition of junior doctors who are one of the key people under health-care workforce and is based on a review of literature, supported by empirical information based on online survey. Introduction: Social marketing mix is a set of controllable tools that can have a wide range of applications in the field of healthcare. Due to the necessity of controlling induced demand, this study aims to use social marketing mix to reduce induced demand in health-care sector. Materials and Methods: This survey study was carried out using keywords “induced demand,” “social marketing,” and “social marketing mix” to search in books, scientific websites, journals, and dissertations. Using these keywords, a total of fifty Farsi and English articles were retrieved and investigated. After investigating the abstract and method of the articles, the irrelevant articles were eliminated leaving 33 journal articles, dissertations and books to be used in this study. It is worth noting that there is a possibility of mistake in eliminating the articles or lack of access to relevant articles. Databases such as MagIran, Google Scholar, NoorMags, SID, IranDoc, Science Direct, PubMed, Springer, and Emerald were the sources for the majority or the articles. After investigating the full text of the relevant articles, relevant information was extracted and used in the study. Results: Based on the results of this study, the components of social marketing mix including suggestion instead of product, cost of participation instead of cost, accessibility instead of location, social contacts instead of promotion and creating partners, policies and guidelines can be used to reduce induced demand. Conclusion: Using the aforementioned methods along with planning and careful evaluation and informing the audience, it is possible to achieve great results in reducing induced demand. Introduction: Unexpected events such as floods and earthquakes have long existed in the world and have imposed large losses to society. Every year, these events endanger lives and property of many people all over the world. Floods are the most common of all natural disasters which their consequences depend on factors such as flood causes, geographical location, economic situation, as well as society vulnerability. 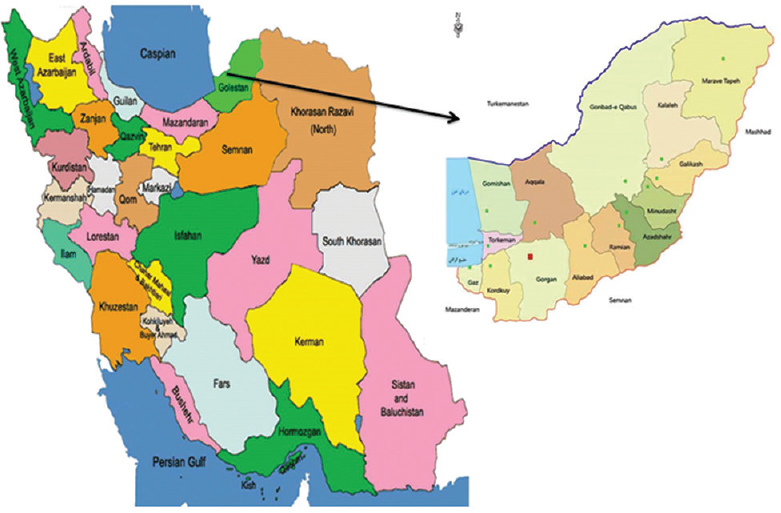 The aim of this study was to assess the vulnerability of different regions of the Golestan province of Iran to the flooding crisis. Methodology: This retrospective study was done to collect information in the census of all the documentation floods occurred from 1991 to 2013. Results: The results of this study show that 106 floods with frequency 514 have occurred in Golestan province and most severe floods have occurred in the first half of the years (69.8%) occurred. Most losses of human life's due to flooding occurred in the first half of the years. Conclusion: Flood has major impact on health in Golestan province. Therefore, the development of awareness and educational programs on natural disasters must be a priority, because human development largely depends on the ability of society to reduce its vulnerability. Background: During the year 2015, Chennai and the South Indian coast experienced devastating floods due to unprecedented rains. Indiscriminate damage to housing, communication and transport networks, and health facilities ensued affecting the lives of thousands of people. Objective: To assess the morbidity profile of patients attending the medical camps conducted at Chennai during the postflood period. Methodology: In our study, the investigators with their health team conducted camps in Thiruvallur - one of the worst affected districts during the floods between November and December 2015. Data were collected regarding age, gender, and presenting health problems. Total number of patients seen in camps was 5633. Results: It was observed that among people who came to the camp, common health problems were as follows - 46.84% had acute respiratory tract infections, 24.87% with acute gastroenteritis, 18.6% had fever, and 14.41% with skin problems. Conclusion: Due to provision of safe drinking water and epidemic prevention measures, epidemic outbreaks have been averted. 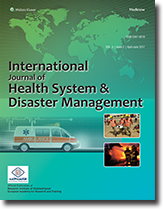 However, strengthening of existing health care systems is required to handle the burden of acute gastrointestinal and respiratory infections during disasters such as floods.